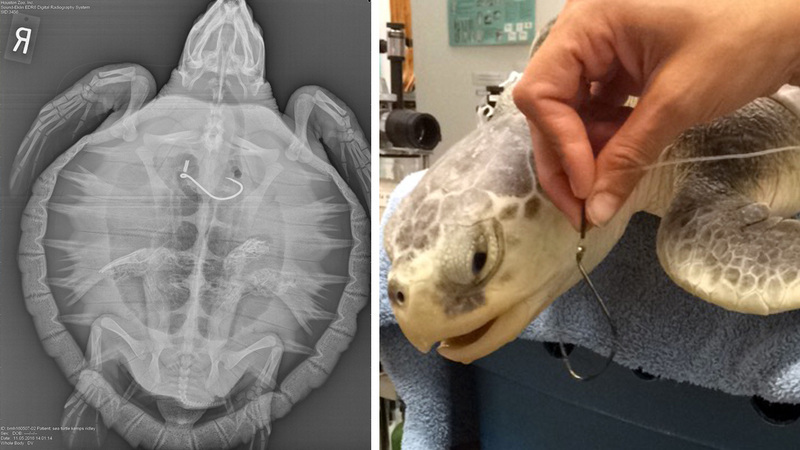 HOUSTON (KTRK) -- Veterinarians at the Houston Zoo successfully removed fishing hooks from a pair of sea turtles. These turtles were accidentally caught by fishermen in Galveston. They'll be rehabilitated at a National Oceanic and Atmospheric Administration facility before they're returned to the ocean. Anyone who spots a nesting or injured sea turtle is encouraged to call 1-866-TURTLE-5. Fishermen who accidentally catch sea turtles are also asked to call the number; contrary to belief, they won't be fined.